Acme Thunderer (Referee's) Whistle #58 large with square mouthpiece. This whistle is a large sized whistle with a deep tone. By the J. Hudson Factory. There is not a sports referee that walks out on the field without an Acme Thunderer. Hang on your key chain or neck for security. After his success with The Metropolitan Whistle, Joseph Hudson went on to revolutionize, ably supported by his son, the world of whistles. In 1884 the Acme Thunderer was launched. 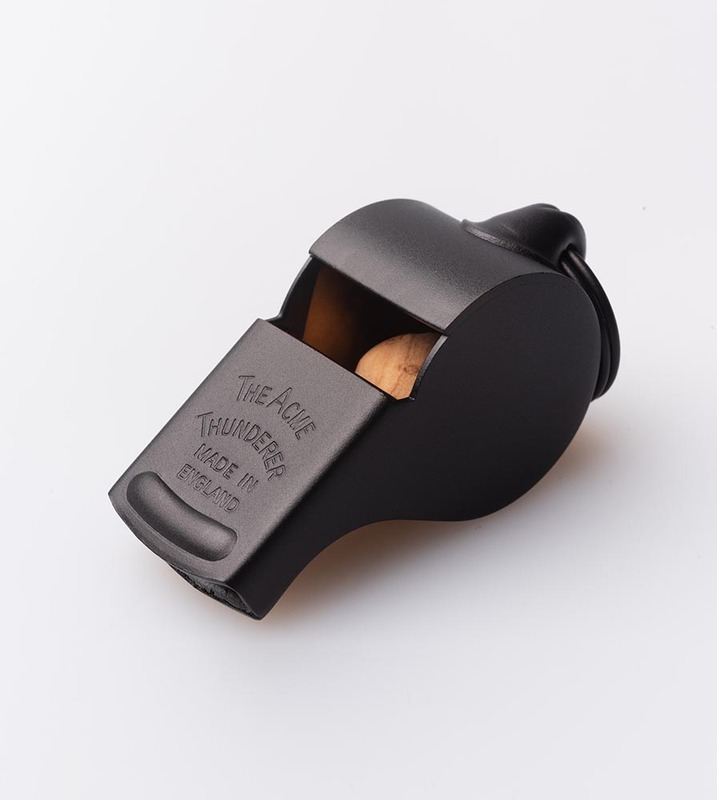 This whistle, the first and still the worlds leading pea whistle, offering total reliability, control and power to the referee, has, continued to be developed. It is now the world's biggest selling whistle, there is not a major league or sport that has not been graced by this whistle.